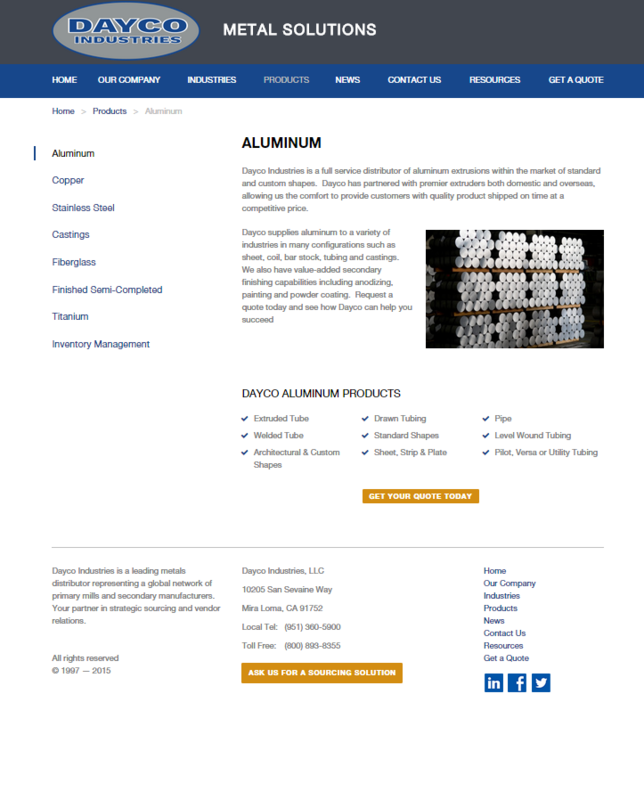 Our client Dayco Industries came to us looking for a way to market their industrial wholesale metal. 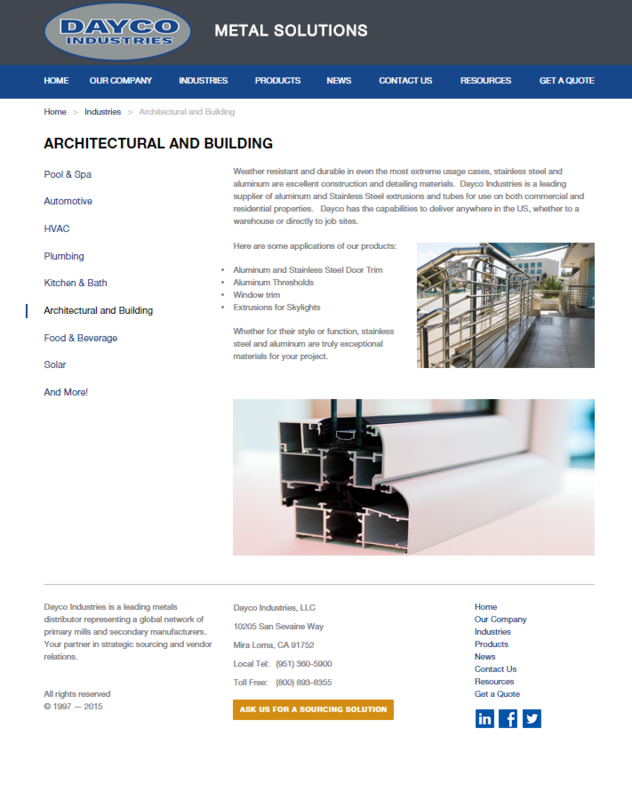 For this website we went with a simplistic design that could be used to catalog and display the different sourced materials they sell. 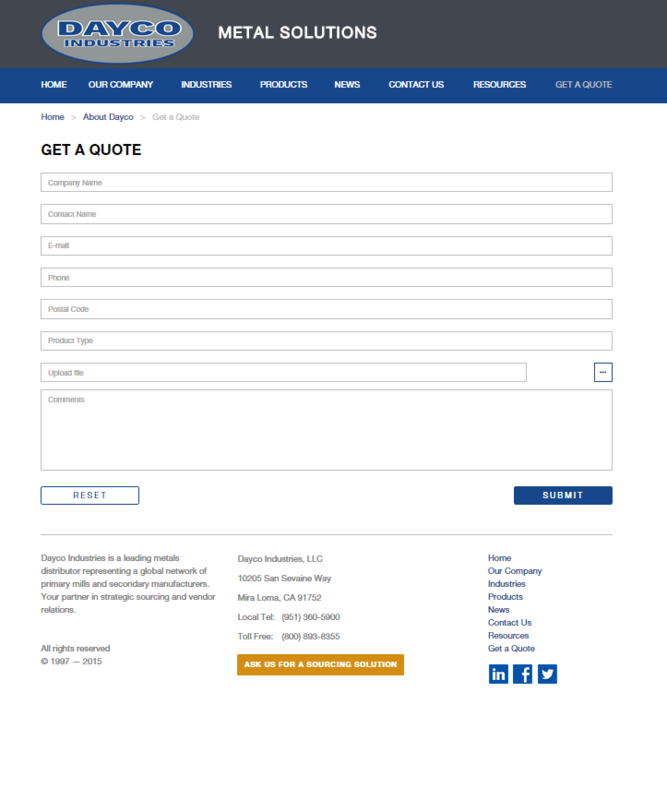 We’ve also included a customized quote form as well as a frequently updated job board. 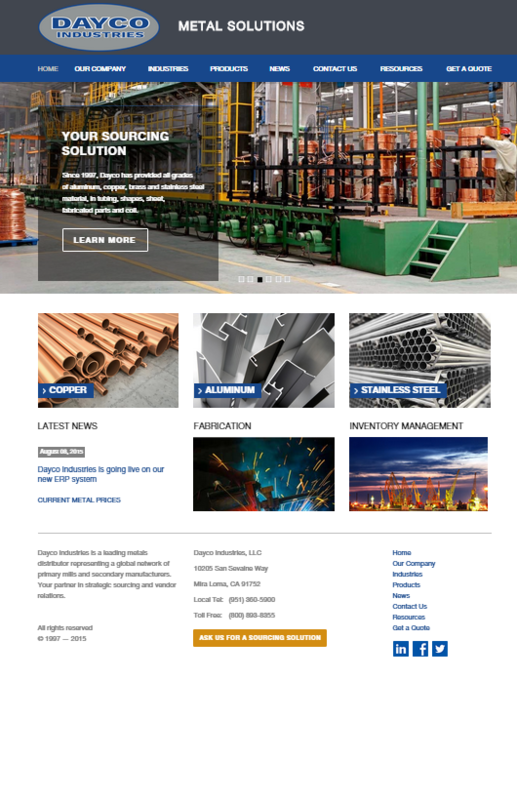 Overall Dayco Industries is incredibly please with our website design and maintenance.